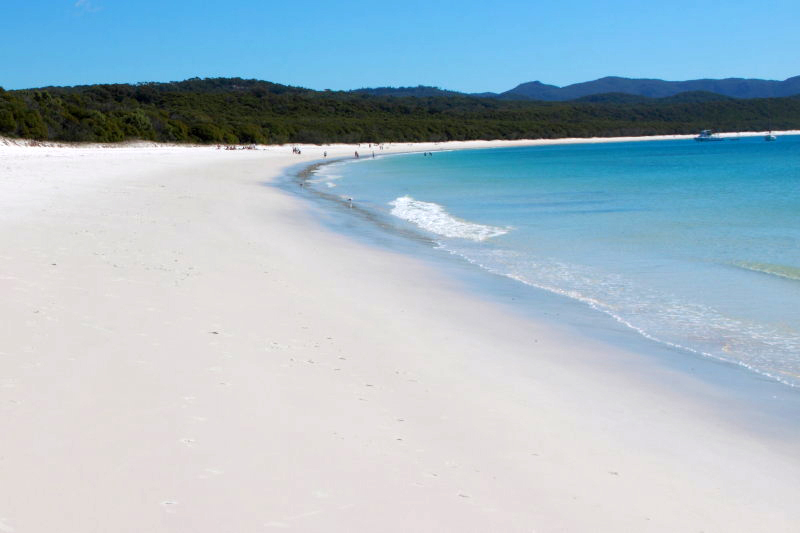 Whitehaven Beach on Whitsunday Island off the Eastern coast of Australia is said to be the whitest beach in the world. The sand is made almost entirely of silica which provides the incredibly white color. The sand is so pure, NASA has used it to make special telescope lenses. 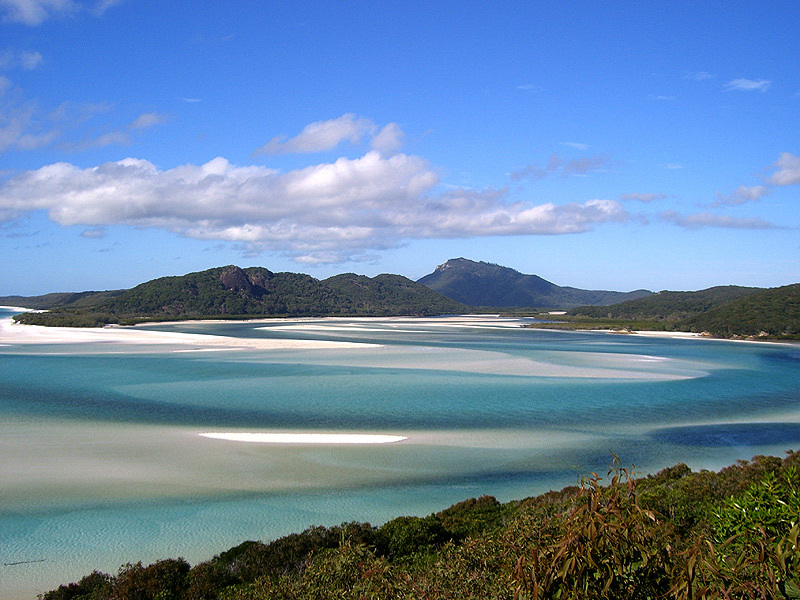 Whitehaven beach stretches for over 7 km (4 miles) along the largest of the Whitsunday Islands. Trips leaving from mainland Australia to visit the beach leave multiple times a day, and there is a variety of accommodation on Whitsunday Island. Visitors shouldn’t miss a trip to the nearby outer Great Barrier Reef, one of the Seven Natural Wonders of the World. I think this is the most awesome place I have ever seen. Key point why it is so beutfull is that there are no tourists. I always feel so privileged to live in this country when I see photos like that. 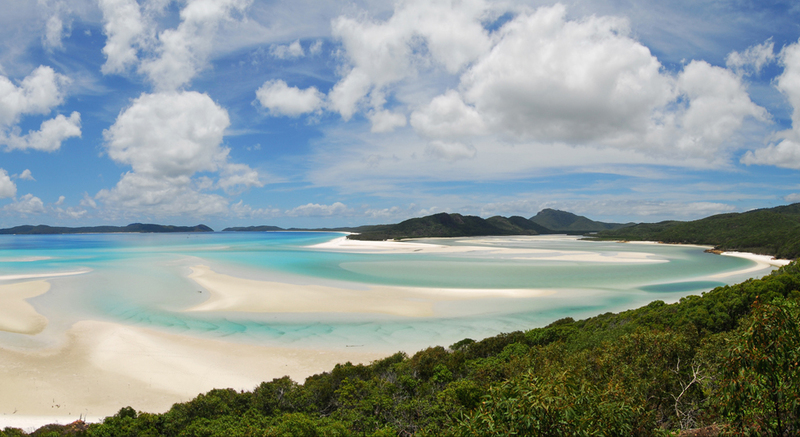 Of course, I’ve never been to the Whitsundays… but I’m hoping to go this year! 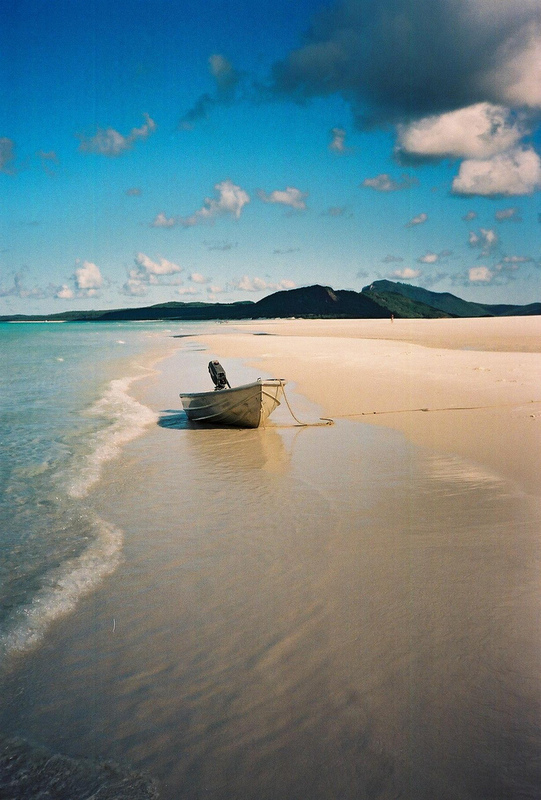 I lived in North Queensland for 18 years and never made it to any of the Whitsunday Islands. Shame on me, after seeing these incredible pics! 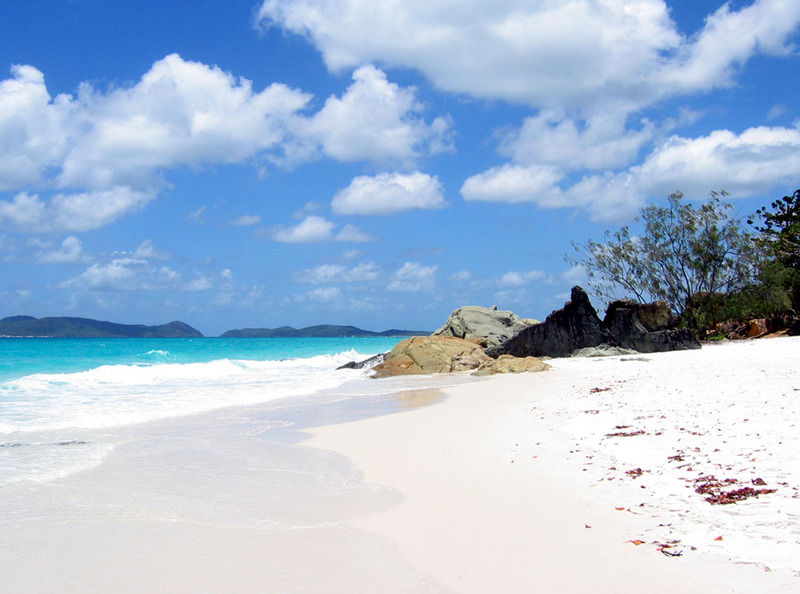 Whitehaven Beach is a definite must see in the Whitsundays. 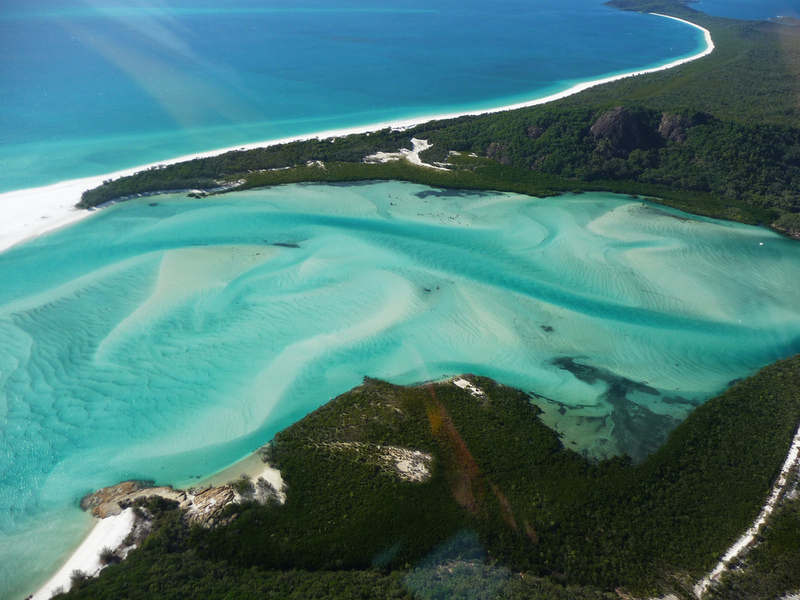 Crystal clear waters and aquatic strip virgin silica sand Whitehaven seven kilometers along the island of Pentecost, the largest of 74 islands of the Whitsundays. It defines the nature at its best and offers the broadest sense of relaxation and escape. Here you can do many things, such as the Great Barrier Reef Cruise, let your feet sink and quartz, and Whitehaven Beach and Hill Inlet, relax and swim in the family of Airlie Beach Lagoon, an unforgettable evening under the stars and coral reefs reefsleep .